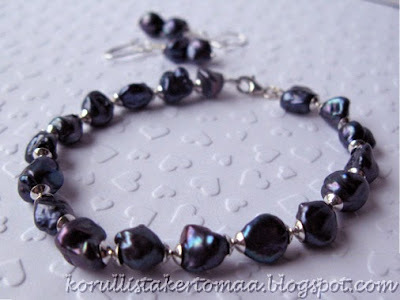 I made this blue keshi pearl bracelet and earrings set as a Mother's Day gift. I couldn't capture the true color of the pearls - in real life they are very metallic deep blue with purple and green flashes. The clasp and the bead caps are sterling silver. 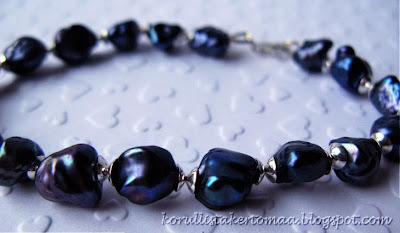 A beautifully elegant bracelet, dear Mia, your mother will surely love it!